You rely on your doctor like you rely on your mechanic: like mechanics, doctors possess knowledge you likely don’t, so when they tell you to do something—even if you don’t always agree—you normally do it without question. You take their word for it; I do the same thing most of the time. But, what do you do if you think your doctor is wrong? Although I pay close attention to health news and research, I don’t have the intricate understanding of the body or the knowledge of how to treat all kinds of illnesses that a doctor does. But the thing is that your doctor might not even know when they’re off the mark. And what’s scary is that it’s really hard for you to ever determine whether you’ve got a good doctor and if they’re really doing all they can for your health. 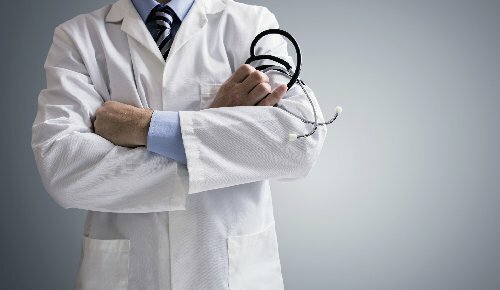 I recently read an article about a young Canadian woman whose doctor seemed too proud to admit they didn’t know what was going on with the patient. Instead of referring her to another doctor, this physician patted the patient on the leg and said the intense stomach pain she was experiencing was the result of anxiety. Later that day, the young woman was on the operating table undergoing emergency surgery. Her condition wasn’t anxiety—it was a serious and uncommon gastrointestinal condition called ovarian torsion. Even though this woman trusted her doctor, she didn’t believe the diagnosis because she knew herself too well. She’d never experienced any sort of anxiety or depression in her young life and didn’t believe that was what was wrong with her—and she was right. You’re the only one who knows how you feel, and sometimes a doctor can’t get it right. Now I’m not saying all doctors or wrong—and I’m certainly not saying that if you’re unrealistic, or in denial, about a condition that you shouldn’t listen—but I am saying that sometimes a doctor won’t get it right and a second opinion is in order. Along with asking for a second opinion—if your doctor is telling you everything is okay and you know you’re not—you can also ask your doctor some questions. Ask if there are any tests that could be administered, ask how certain lifestyle decisions may be affecting your health, ask for a list of a few alternative ideas, and finally, ask them if they have any expertise in the particular area where you’re experiencing symptoms. Most of the time your doctor is likely to get it right—but sometimes they can miss something. And when they do, the consequences can be devastating. Know your body, be honest about how you feel, and don’t be afraid to get the care you deserve. Zlomislic, D., “Ignoring doctor may have saved Whitby girl from ‘abdominal catastrophe’” Toronto Star, August 29, 2016; https://www.thestar.com/news/gta/2016/08/29/ignoring-doctor-may-have-saved-whitby-girl-from-abdominal-catastrophe.html, last accessed August 31, 2016.